Again, there were significantly more items on sale this week than the past previous weeks! They are mostly food items so this is another great week to go grocery shopping – although some sames are extensions of last weeks sale items. I’m all loaded up on Cascade Dishwasher Detergent so I don’t need any more, but there also seems to be lots of Kirkland Signature Laundry Detergent. If you have ever been tempted, this is a great time to pick some up. All Swiffer branded products are on sale – I like the Swiffer Dusters. Boom Chicka Pop Kettle Corn is a good price at the moment too. There are couple of frozen items on sale that I have never tried, but I will vouch for having a box of Poppies Mini Cream Puffs in the freezer – I may or may not eat them frozen straight out of the box. The Crunchmaster Rice Crackers go great with the Something Special Gourmet Antipasto and they are both on sale too! Green Giant Corn (niblets and cream style) are both on sale – this is a sale that does not occur frequently – so I always grab some when I see it. Hi-Chew Candy Chews are on sale as well as Kirkland Signature Dry Roasted Almonds. I would recommend both of these items for snacking. As for new items this week: Smartyard Solar Pathway Lights are on sale, Huggies Natural Care Wipes are on sale again for those of you who missed the last sale. The Ion Block Rocker Portable PA system looks like a lot of fun in anticipation of summer barbeques. Also for those of you who want to get organized – Vancouver Classics Zinc Plated Shelving is on sale. Cappola Charcuteries and Boursin Cheese look like a tasty snack when you have guests over – along with Perrier bottles and San Pellegrino. High Liner English Style Cod and Famous Amos Cookies looks like a good treat for the kids as well as Tropicana Orange Juice (I put a couple in the freezer because I can’t drink them all). Campbell’s Cream of Mushroom Soup is a good buy this week as well. 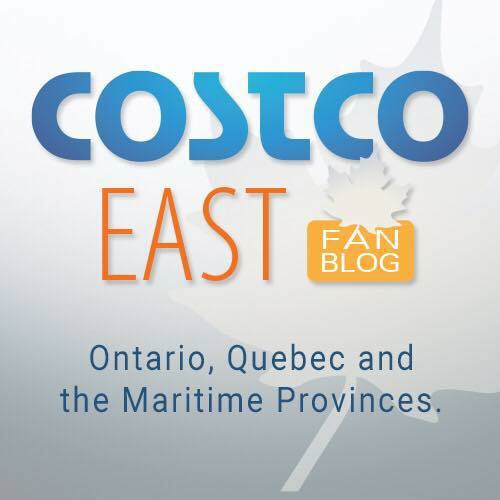 **Please note that the prices at your local Costco take precedent over the prices posted on this blog. Lots of tempting junk food on sale this week! Thanks for the post. I now don’t go to Costco until I get your email! Thanks so much for doing this, as it is much appreciated. Look forward to your email every Thursday! Good job…really appreciate your blog!! Such dedication! Costco should be paying you! Thank you! Great job. I appreciate your time and patience !? Thank you for your efforts, seriously appreciated!!! Batteries aren’t on sale at Sherwood Park, AB location. Same situation as the bread? Wait a week or two? I don’t even have a costco membership anymore and I still browse this lol. Just wanted to say you’re doing God’s work.